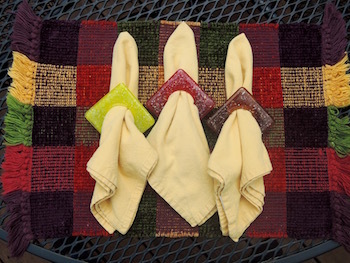 Create beautiful, customized Napkin Rings - two at a time - with our Square Napkin Ring design. Just prime the mold, fill it with any color and mesh frit you wish, and fire it. When the molds are used with ZYP BN Lubricoat, cold-working is almost never required. Don’t miss the Round Napkin Ring design. You can read about it here. 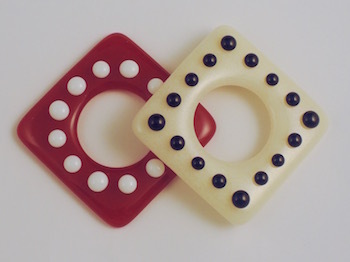 The Square Napkin Ring design is about 4.75 x 9 x 1 inches (12 x 23 x 2.5 cm). 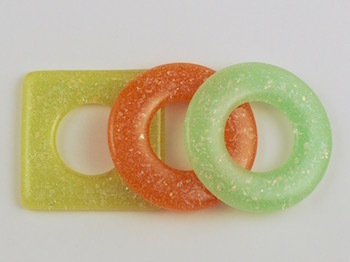 The fill weight for each ring is 85 grams. 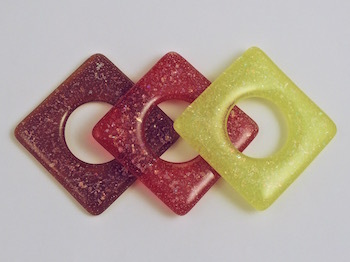 The finished pieces are 3 inches (78 mm) across. 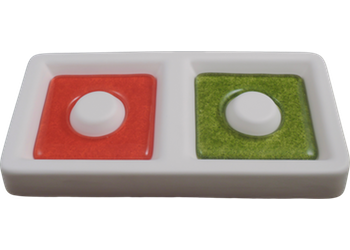 Click on the green LEARN tab to download the Napkin Ring project sheet and to watch videos about priming our molds.